Constantly reflecting on one’s own rich artistic heritage is deeply rooted in the Meissen tradition. The filigree “Blue Orchid” decor is no exception. It is based on a 1970 design by Professor Heinz Werner: “Blue Orchid on a Branch” is one of the ingenious porcelain painter’s most popular motifs. For the “MEISSEN® Cosmopolitan” collection, one element of Werner’s original is placed in the centre of the elegant “Mesh platinum” pattern, lending the pieces a minimalist feel. The “Blue Orchid” is created using an elaborate under-glaze painting technique. The paint is applied directly to the unfired, still porous porcelain, allowing it to absorb the colour immediately, and making it impossible to correct any errors. The design’s initial appearance, a matte grey, only attains its characteristic cobalt blue radiance after glazing and in reaction to the subsequent glaze firing. 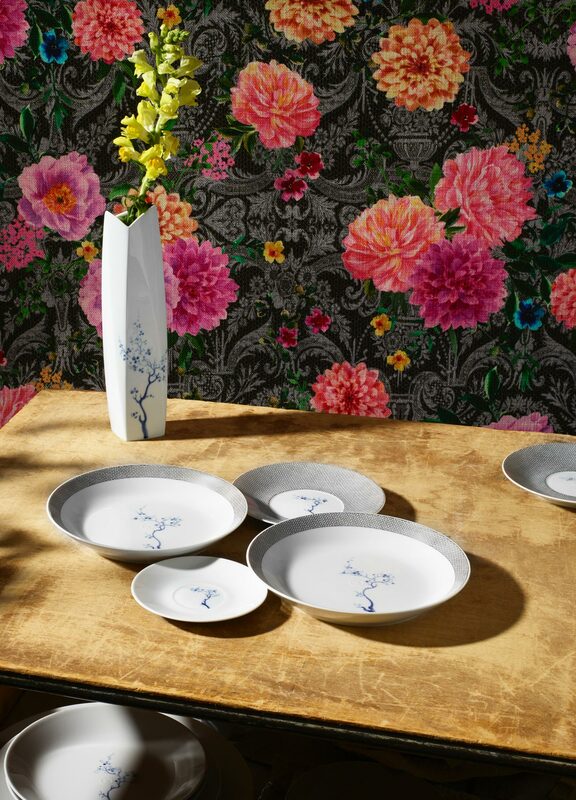 The “MEISSEN® Cosmopolitan” collection stands for a timeless design that marries Meissen’s high-quality porcelain with a contemporary look and feel. 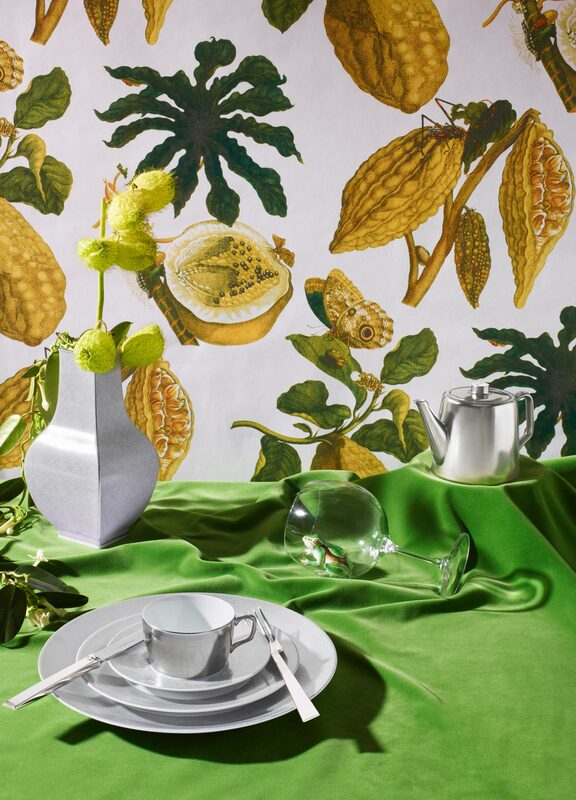 With its clear lines, the “MEISSEN® Cosmopolitan” collection’s “White” decor variant showcases the radiant lustre for which Meissen Porcelain is so renowned. The decor variant’s understated elegance, combined with the collection’s sleek design make for particularly striking combinations with other decor variants. All objects of the “MEISSEN® Cosmopolitan White” collection are dishwasher safe. Even rarer than gold, platinum is the most precious of all metals. Its special purity produces such a unique shine – ranging from metallic to nearly pure white – that truly captivates the observer. Platinum is always unobtrusive and elegant. 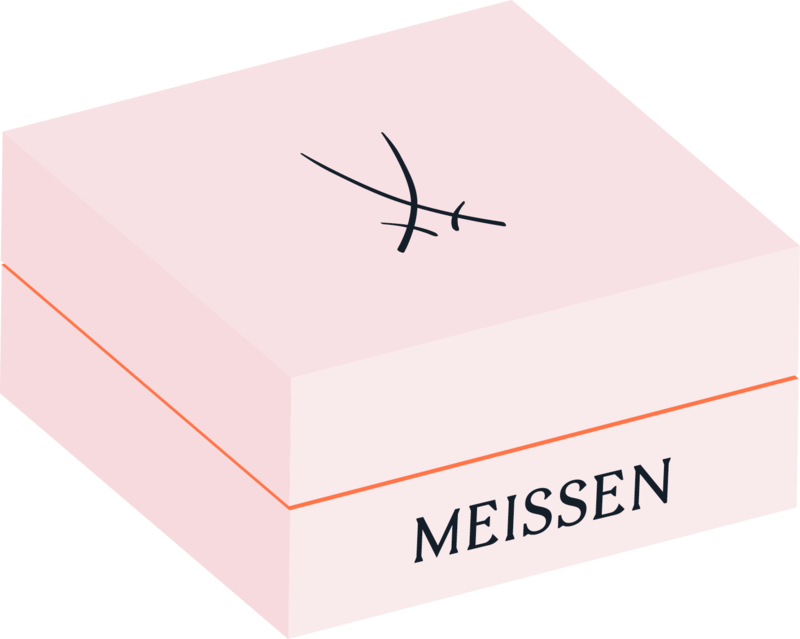 The expressive platinum foundation underlines the timeless, clear character of the “MEISSEN® Cosmopolitan” collection and emphasises the coveted radiance of the porcelain. With its subtle elegance, the “MEISSEN® Cosmopolitan” collection in “Platinum”, and in the somewhat more reserved “Mesh Platinum” design offer one-of-a-kind highlights in any interior. During the Ming Dynasty, the dragons began to appear more frequently on Chinese porcelain. In Chinese mythology, this supernatural creature symbolises not only the spirit of change, but also the rhythm of nature and existential wisdom. It represents the sun, the light and the male power of yang. 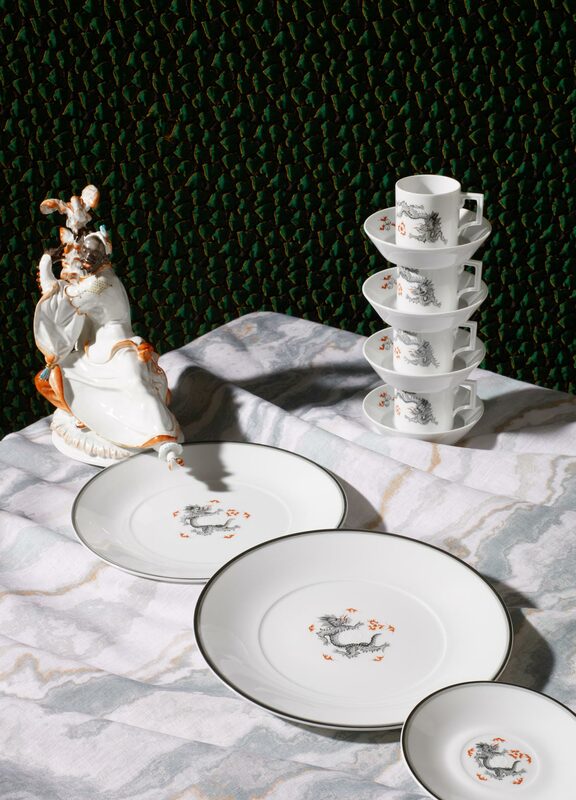 Chinese designs also serve as the inspiration for Meissen’s “Ming Dragon” motif. This pattern, which is one of the manufactory’s earliest designs, was created in in 1740. 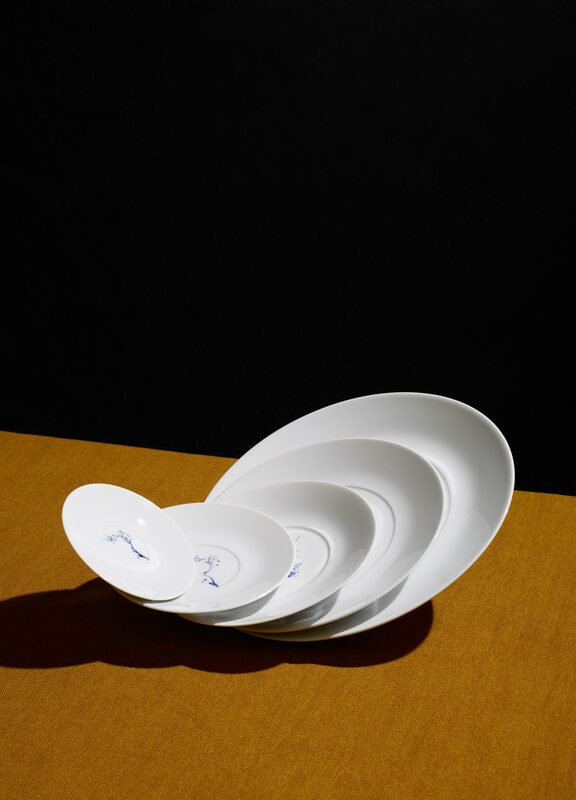 The modern, clear shapes of the “MEISSEN® Cosmopolitan” collection bring Meissen’s “Ming Dragon” into the present day – accentuated by the addition of a refined platinum rim. The figure of the dragon with four toes, which is the representation typically used at MEISSEN, was originally reserved exclusively for imperial princes in ancient China. Once appointed as the personal alchemist to Augustus the Strong, Johann Friedrich Böttger spent several years at the court but was never able to provide the gold demanded by the Elector of Saxony. Instead, as a result of his efforts, he discovered the formula for the production of porcelain, which at that time was almost more valuable than gold. 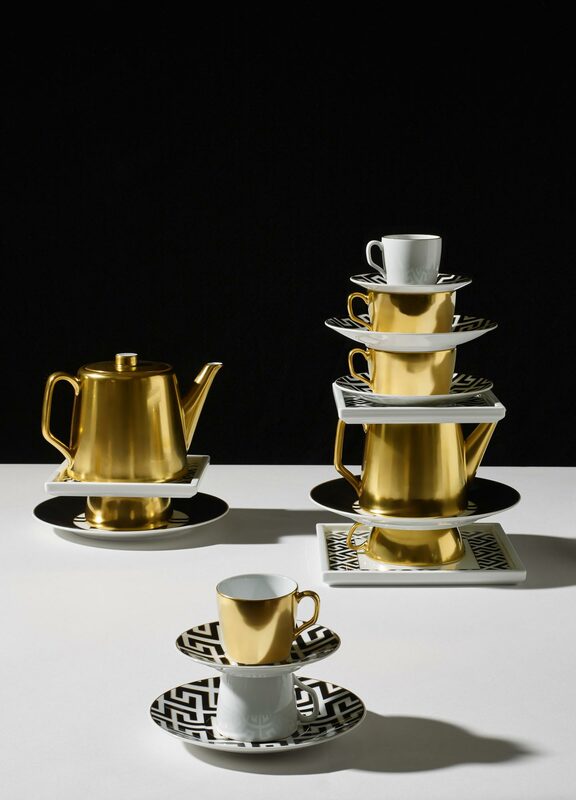 For the “Gold” decor of the “MEISSEN® Cosmopolitan” collection, the porcelain is plated with truly opulent swaths of the precious metal. For this, Meissen’s specialized painters use fine burnished gold, which is matte right after leaving the kiln. The decor receives its characteristic shine through a polishing with a sharpened semi-precious stone, an agate stylus. 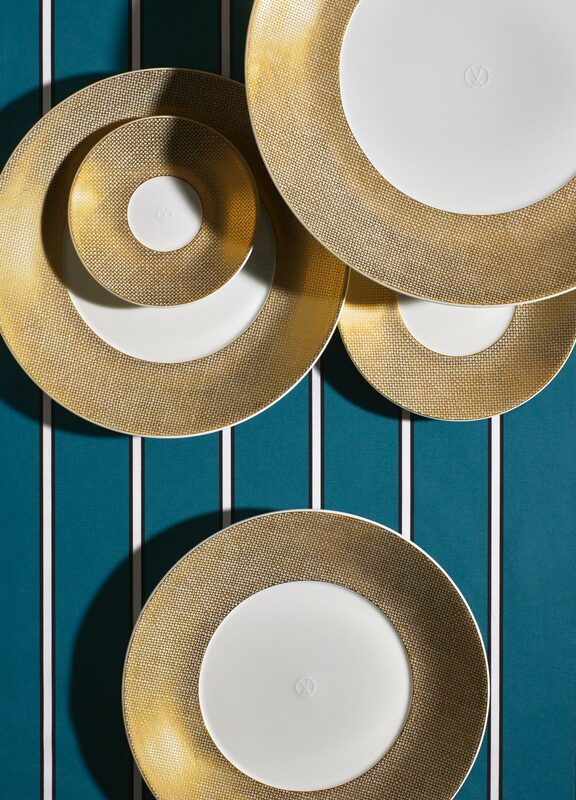 Matching designs in “Mesh Gold” offer a subtle counterpoint to these lavish pieces. For 150 years, the Albrechtsburg palace remained the only production site of the Meissen manufactory. Its historic floor mosaics inspired the geometric “Royal Palace” decor.